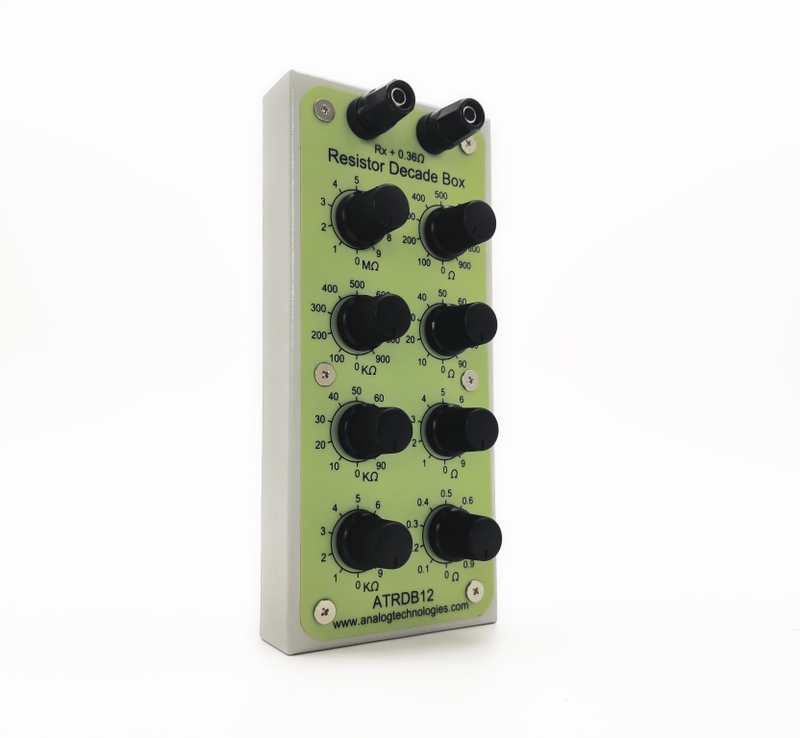 Adjustable Resistor Decade Box - Analog Technologies, Inc.
100kΩ to 900kΩ; 1MΩ to 9MΩ. 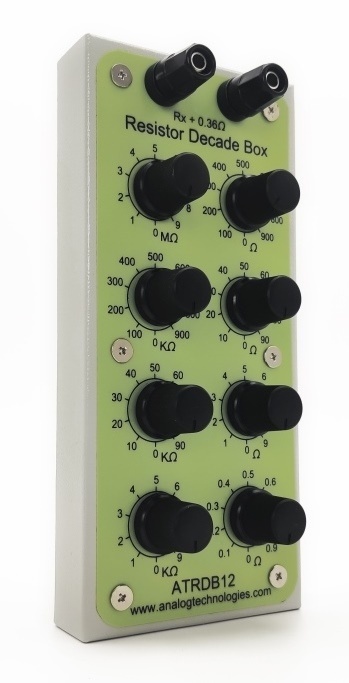 ATRDB12 is an accurate knob dial type resistor decade box. Because of the main features listed above, it is a very useful tool for tuning analog electronic circuits where changing a resistance is needed. What's more, we offer Resistor Kits™ which offer the most convenience for obtaining any value of SMT resistors in the shortest time with the highest accuracy. Our Super SMT Resistor Kits™ are made based on the world’s only special container, Super SMT Component Enclosure™, which has 128 individually lidded coverlets and one final top cover. The foam pad inside the top cover keeps all the coverlets closed when the top cover is closed and locked. Each coverlet measures: 0.87" (L) x 0.59" (W) x 0.63"(D) or 22mm (L) x 15mm (W) x 16mm (D). The Super SMT Component Enclosure™ measures: 11" (L) x 8.5" (W) x 1.75"(H) or 280mm (L) x 216mm (W) x 45mm (H).